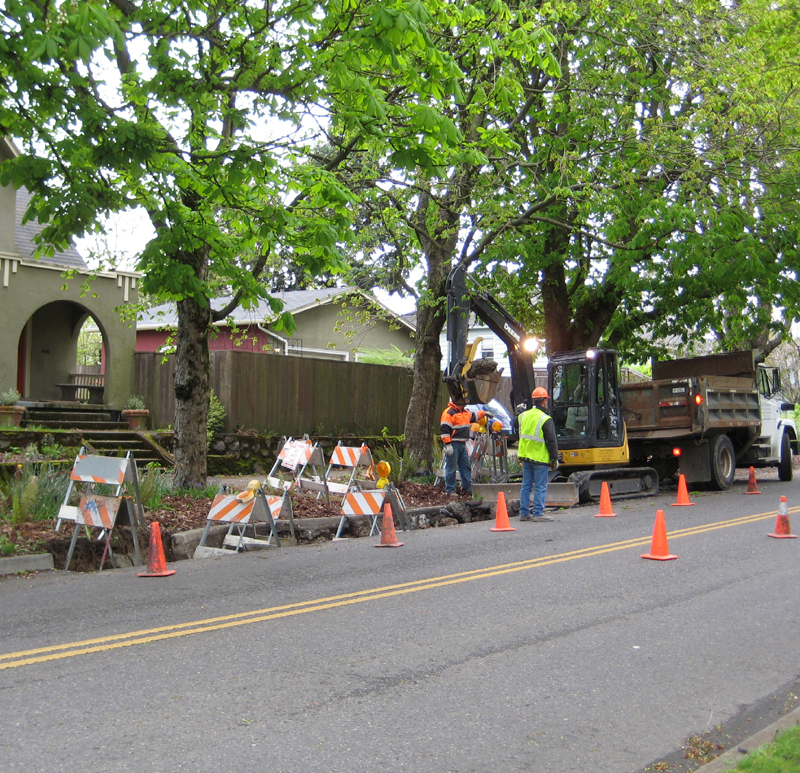 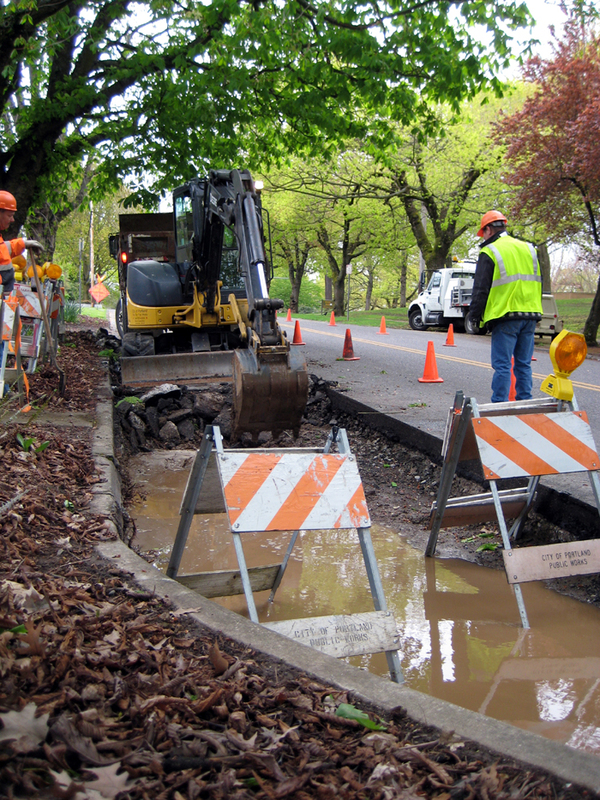 Portland Department of Transportation workers are digging up asphalt, making room for the new bioswale on NE 7th Ave. 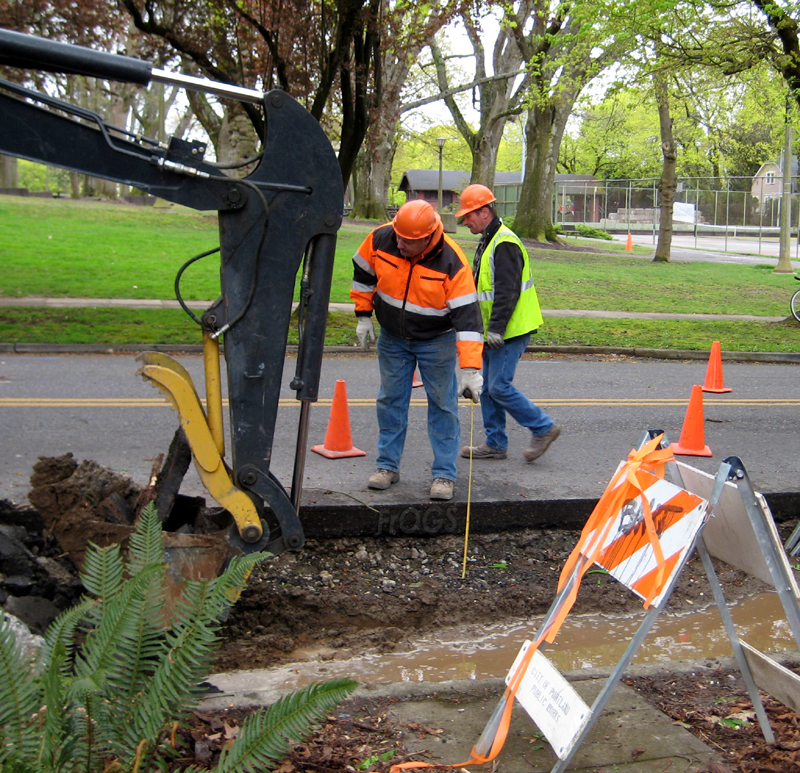 The crew plans to finish excavation today. 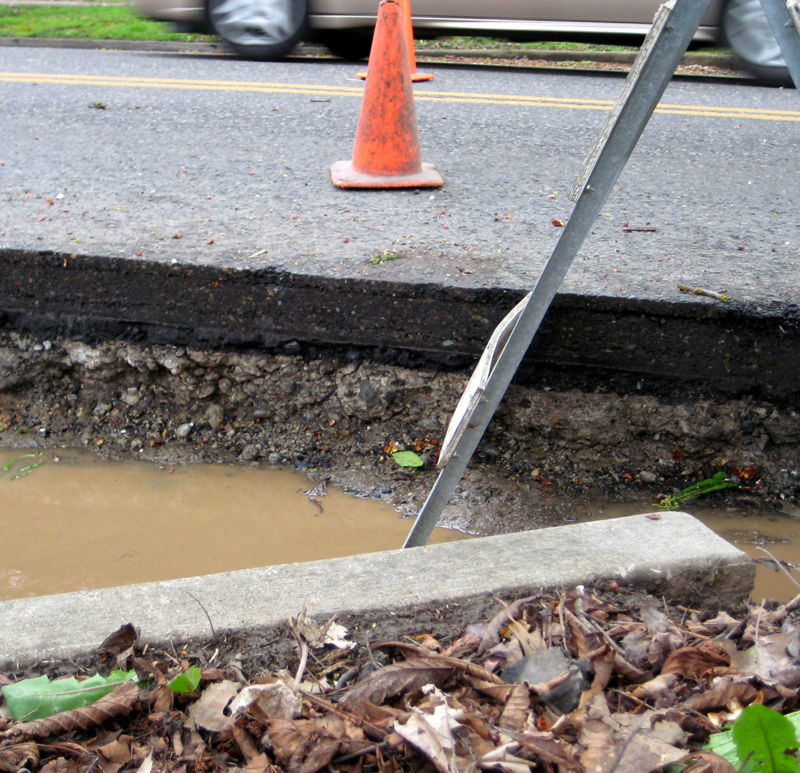 The next step will be to pour a new curb, afterwhich filtration medium can be installed.